Hate driving your car in the traffic and need a driver? Ezi Drive provides you professional and trained driver on call. You can sit back and relax while our driver handles the driving for you in thick traffic. Pioneer and Leader in call driver hire services. All our drivers undergo a thorough background and criminal record check. Online & App booking facility with provision to view booking history for call driver hire services. 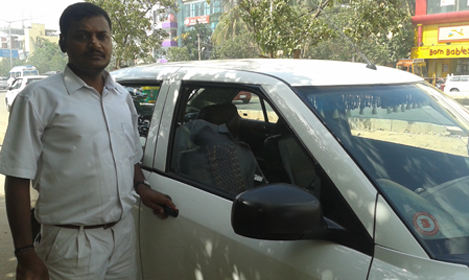 Can hire call drivers on a 24 * 7 basis incl. holidays. Hire Driver or Cab on the go on the same platform. Outstation: Offer outstation round trips, pick-up and drops to all major cities / towns in India. Office pick-up & drop: Regular transfers from home to office in the morning and office to home in the evening in the comfort of your own car on a weekly or monthly basis. Permanent duty: Availability of permanent driver on demand mutually agreed fixed monthly salary or on payment of a one-time finder’s fee. Valet drivers: Placement of experienced valet parking driver on demand for hotels, offices, functions and commercial establishments on per hour, daily, weekly or monthly basis. Corporate drivers: Placement of professionally qualified, courteous driver on call with formal company attire for managing your fleet of vehicles for any corporate occasions and also for regular day-to-day handling. Ezi Drive offers the safest and smartest solution for your driver on call needs. The convenience of having your own personal driver on demand is just a few taps away with Ezi Drive. Call us right away at (080) 424 00 000 / 67 000 000 (Bangalore) & 8822800800 / 08067000010 (Chennai) for the best deal.